The Day After Halloween is always the toughest one to endure. 364 more days until the next BIG DAY of celebration in all things fun, magical, and exciting. Our Count is impressive! Over 6,300 jacks and still counting into the Salvage time frame, where we all go and find the #JackOLanterns we didn’t find because they either burned out or we just didn’t have time to account for them. We KNOW there were far more jack-o-lanterns carved out there in the world then we are counting here… but this is an attempt to account for as many as we can through physical Pumpkin Hunter EYES on the Jacks to be verified or photos and video being posted on Social Media that look like they were carved and shared THIS YEAR (not past years). And since not everyone does this hobby… this is what makes is a CHALLENGE to find them. They are very elusive. Whenever you see a BIG HALLOWEEN display of everything in the lights, air-puffies, and graveyards… and then you look for a Jack-o-lantern… many times, they are not there! DOH! So, this is the challenge, then. Looking for and finding the grinning jacks all through October and on Halloween night! So, our little tour of North Florida came up with an impressive 202 carved jack-o-lanterns! A lot for the sunshine state in which they tend to rot in only a day. Our friend, Terry Hauss II, turned in an good 17 overall and is still salvage counting for more. We got reports of 37 from Central City, KY. Thank you, Bobby and Lisa! And many, many more on the leader board list. Check it out. So, right now, we have 6,330 on the official count for 2018. And still looking for MORE! Still a good chance to set a new record via the Salvage Pumpkin Hunting efforts that goes on through Nov 4. 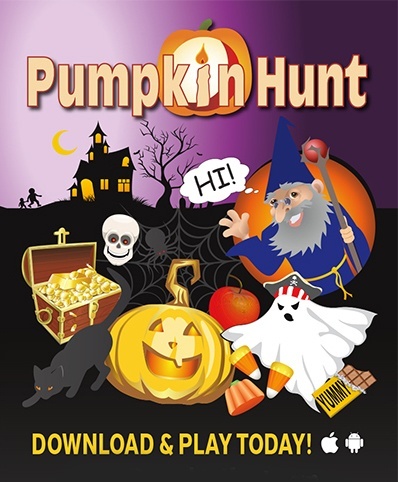 So, if you find some… snap a pic and Tweet them to #pumpkinhunt with count and how many you found. 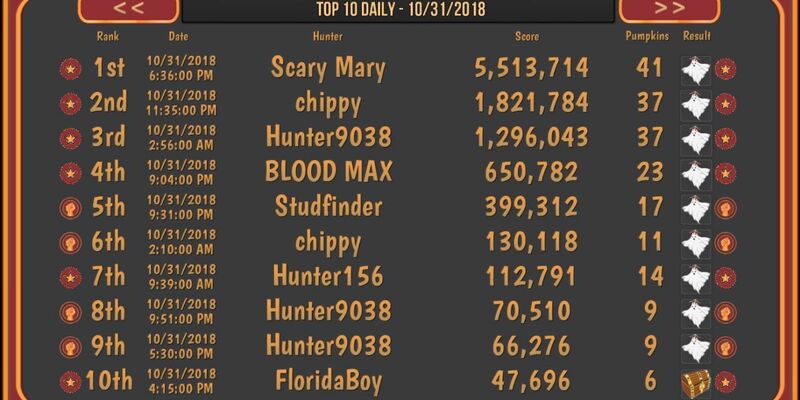 For the BIG DAY on the Game, Scary Mary lands the Top Score for Halloween day! An impressive 5.5 million point score! See the image for the rest of the Top Ten on the special day! Over the next few days, we will be transitioning to our main gaming channel MindTipGames on FB and our website and Twitter are coming soon after. So, to keep up with us, please Like and Follow us on there. Meanwhile, let the Salvage Count begin! NextDon’t be sad! 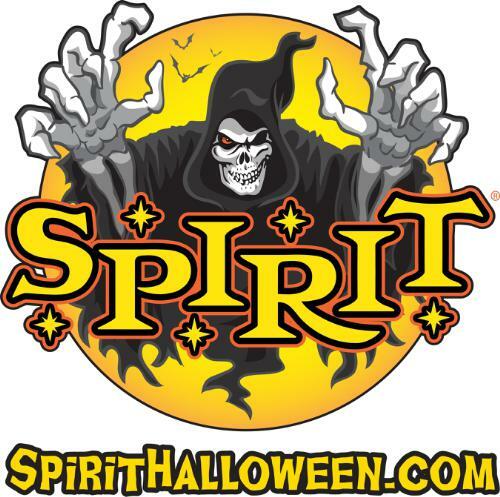 Halloween is never more than 11 months away! Sorry for the registration hiccup! Best laid plans… don’t go as planned.